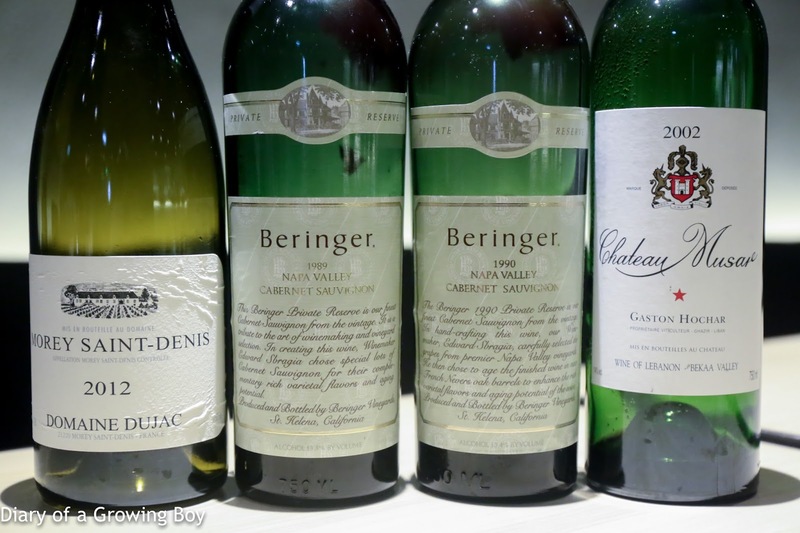 The King made another visit to Hong Kong, and the old gang was once again rounded up to catch up with him. With BM being put on a special diet and unable to join us, the task of picking a restaurant was kinda thrust back on my shoulders. We asked the King what he preferred, and when the response came back as "casual Western", I casually suggested my go-to place for something like this - The Man in White T-Shirt's Neighborhood. As a result of having booked this dinner sometime last week, I decided to pass up the opportunity to come here on Wednesday on the rare oppotunity when The Man in White T-Shirt had occasion to cook for Chef Alain Ducasse... Quel dommage! 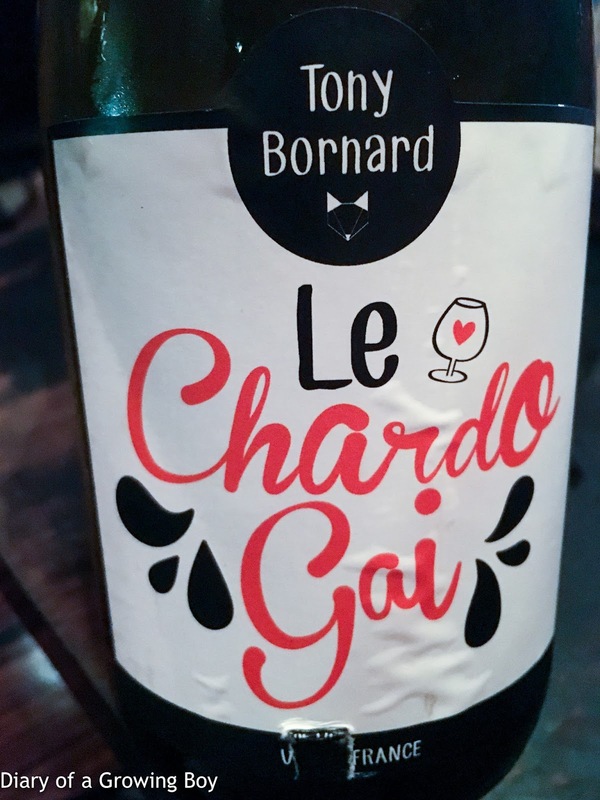 2015 Tony Bornard Le Chardo Gai - pretty ripe on palate, with some acidity at the same time. Flinty, slightly pungent from sulfur. I picked a selection of charcuterie and cheese to go along with our bong water - rillettes, lomo, chorizo, Brillat-Savarin, Tête de Moine, and Saint-Marcellin. It was getting a little hot at La Cabane Wine Bistro, what with this being Bastille Day, the bar having an open front, and the bunch of us downing two bottles of bong water... so we couldn't wait to move to the air-conditioned comfort of Neighborhood when the time came. As usual, I left it up to The Man in White T-Shirt to decide on the menu for us - the only thing I reserved in advance was my favorite Spanish beef. There were seven of us tonight, so we definitely needed something like that to finish. 30 mo. culatello "Massimo Spigaroli" - made from black pigs, these were particularly tasty... with deep, cheesy and fermented flavors. 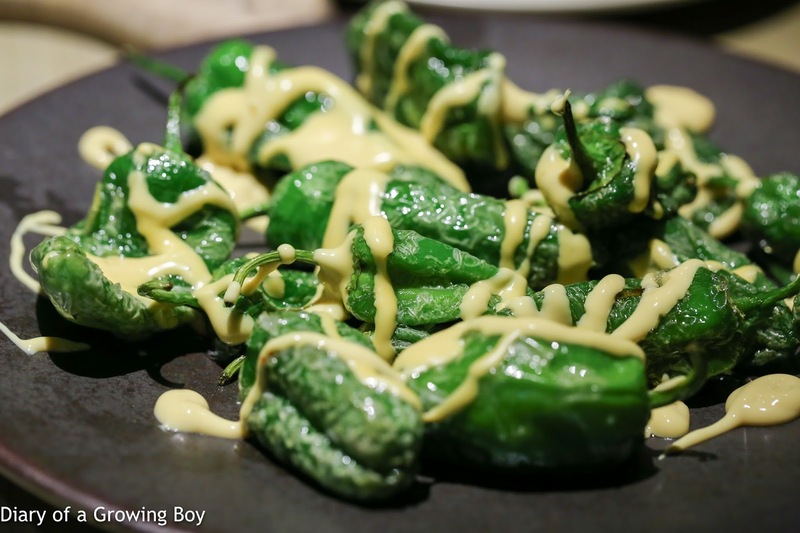 Padron peppers / cheddar - amazingly, I think there were two spicy ones in this batch. 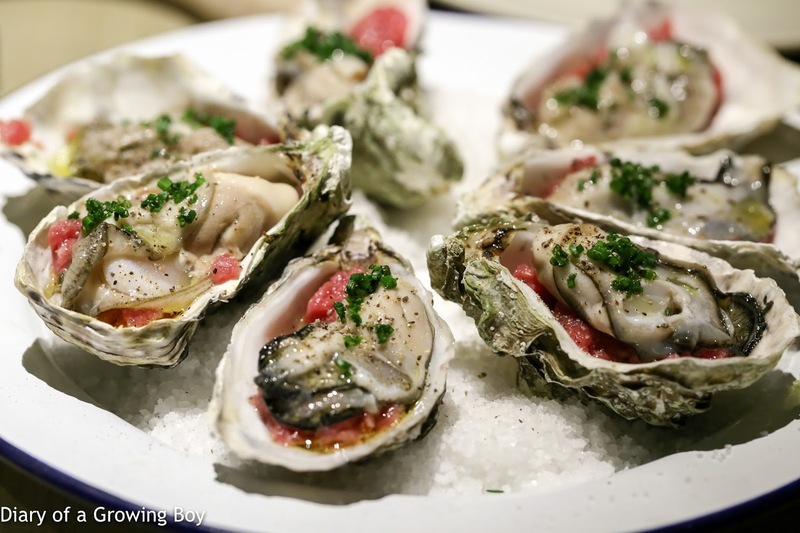 Papillon oysters / Acquitaine beef tartare - very pure flavors here - clean flavors from the raw beef, seasoned with black pepper - in combination of briny oysters. Pretty refreshing for the summer. 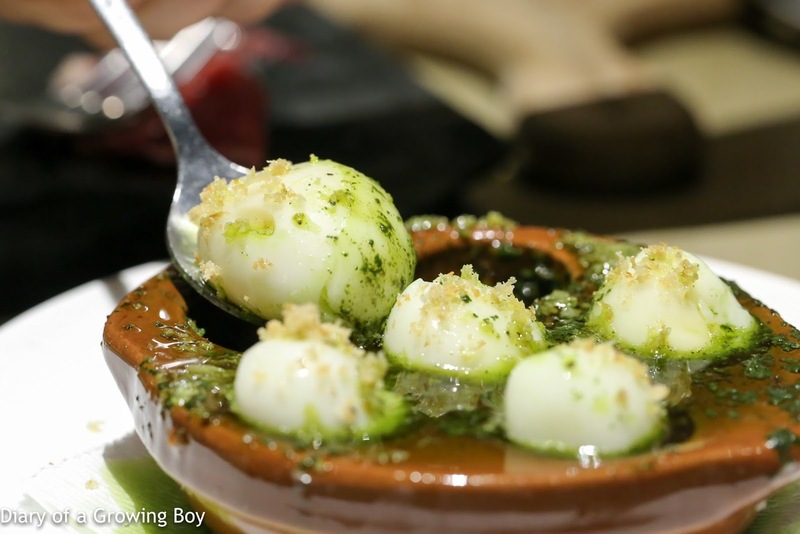 Pigeon eggs / escargot butter - pretty interesting to find these soft, jiggly pigeon eggs served in ceramic dishes typically used for escargot - with the traditional garlic and herb butter literally overflowing on top. Very tasty and satisfying. The guys asked for more bread so they could soak up the herb butter. 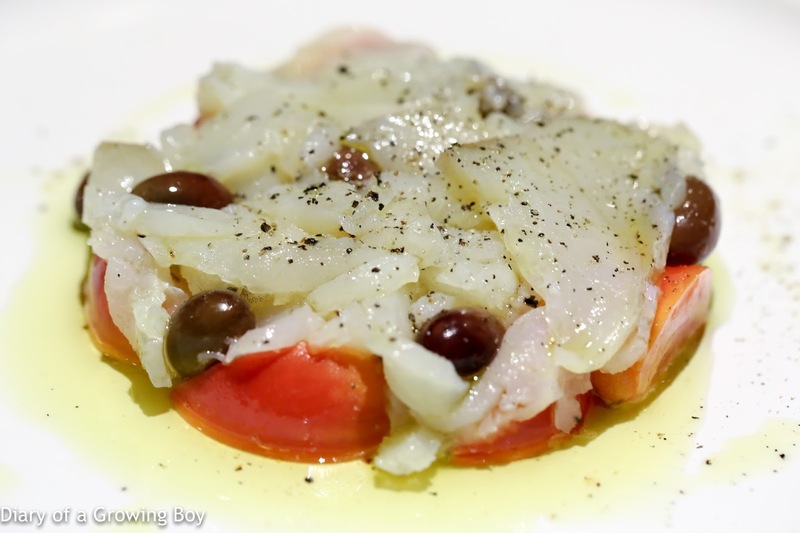 Salt cod / tomato / olives - the shredded salt cod was, in reality, very salty even for someone like me who loves bacalhau. But I loved the texture of it as it was slightly crunchy. Bouchot mussels "Mont St Michel" - these were moules de bouchot de la Baie du Mont Saint-Michel, which has its very own AOP. 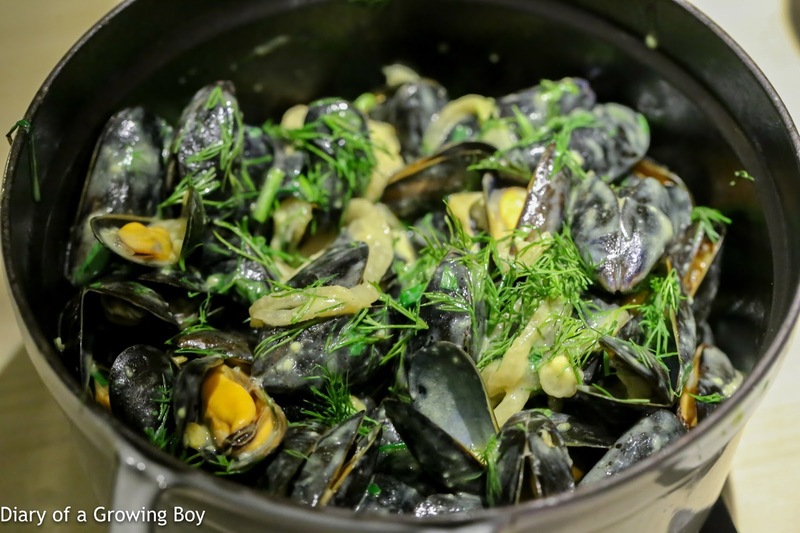 Served up with plenty of dill, garlic, and shallots. 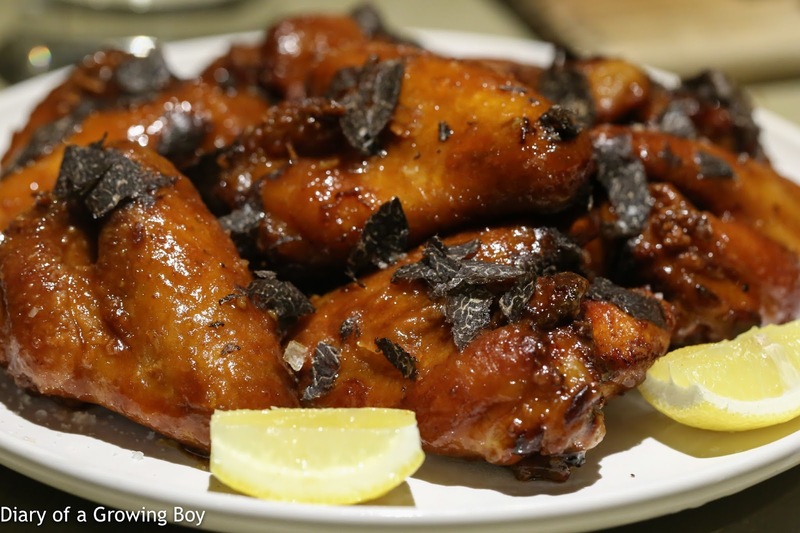 Black truffle chicken wings - the fragrance of black truffle was alluring and unmistakable. One of the most simple yet satisfying dishes tonight. 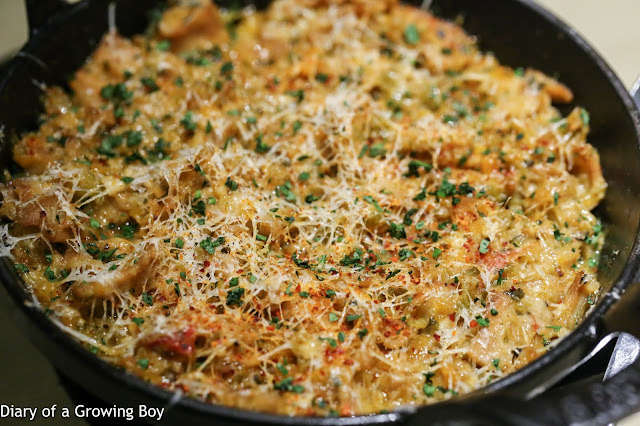 Beef tripe gratin - The Man in White T-Shirt knows how much I love tripe, and this was very, very good. I just love the thin crust of shredded cheese on top... and of course love all the chili powder and herbs he added. Hearty and deliciouis. White baits "pil pil" baby eel style - I LOOOOOVE this! 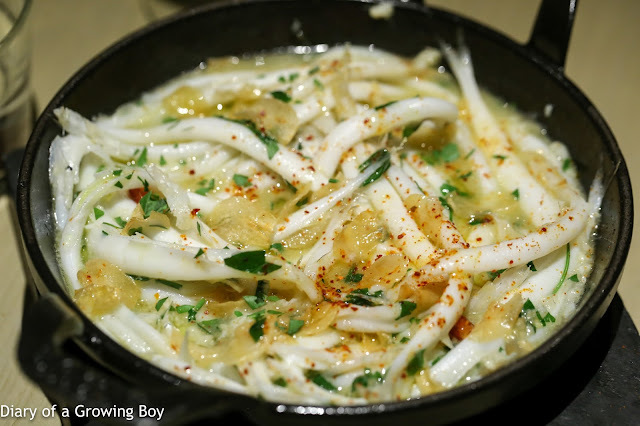 I have always loved whitebait (白飯魚), and I also love anything made "al pil-pil". Here's a combination of both... with a liberal sprinkle of piment d'Espelette powder and diced chilis giving the whole thing a pretty strong kick. I'm normally a guy who has limited tolerance for spicy food, but this dish was totally up my alley. I also love the soft, smooth and almost slippery texture of the whitebait, which in this case was a substitute for those famed (and much more expensive) angulas. 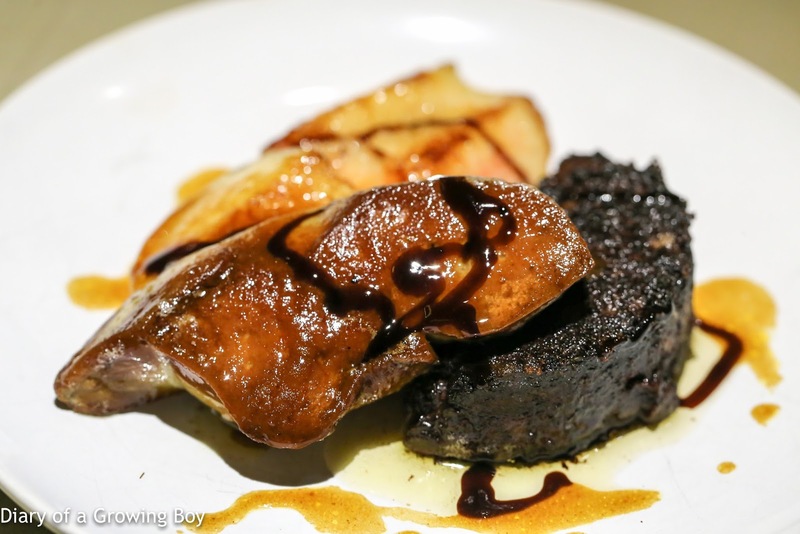 Boudin Basque / foie gras / summer fruit - The Man in White T-Shirt also knows I love the boudin basque from Christian Parra, and he's changed things up a little by halving the portion and putting a chunk of pan-fried foie gras with it. 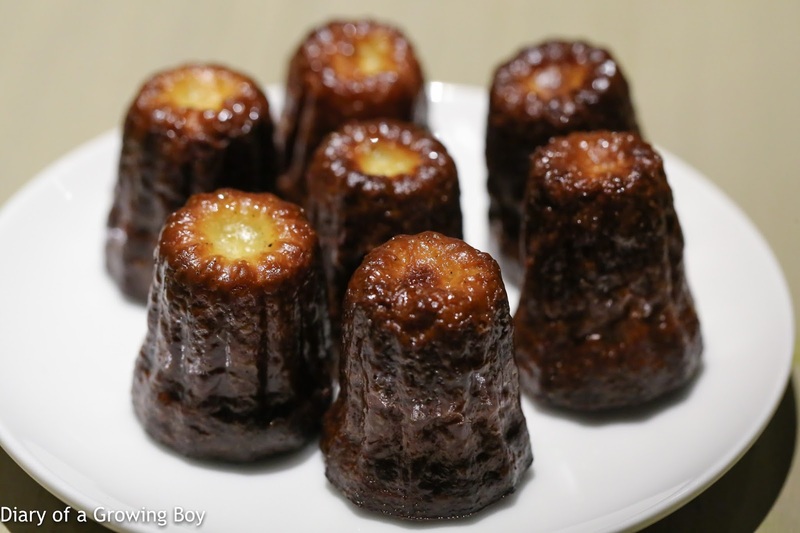 For acidity he's added a piece of caramelized white peach. Gotta say it worked pretty well. Kinki paella - I've seen a bunch of pictures over the last few days from several friends who had this dish on Wednesday, and I'm very happy to see it on our table tonight. The boss reminded us to squeeze some lemon juice over the dish as it really made the flavors perk up. There was also plenty of kaffir lime in there somewhere to deliver the distinctive fragrance. The kinki (喜知次) was, expected, very very succulent. The rice was delicious and flavorful, but unfortunately what my friend spooned onto my plate didn't have enough socarrat. 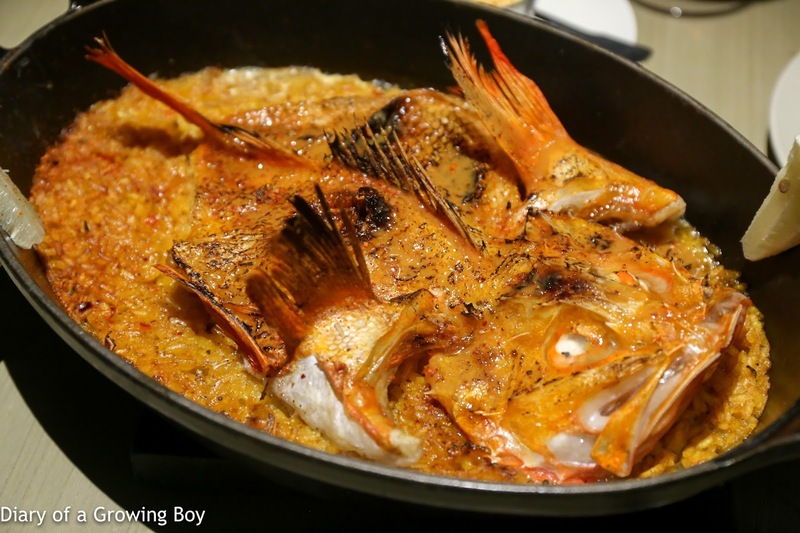 While some may prefer their rice soft and juicy, I actually want enough socarrat to impart that crunchy, chewy texture. Regardless, though, it was still I dish I loved and enjoyed very much. 100 day dry aged Spanish Rubia Gallega chuleta steak - I will never get tired of eating this beef... Just look at the color - pretty much perfect doneness for me, although I could also take it a little more raw. 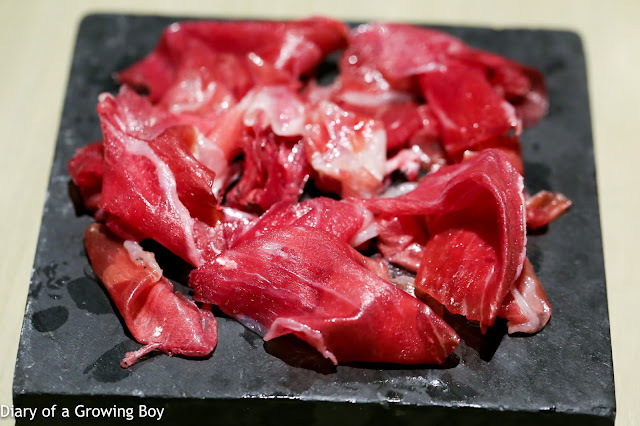 The meat comes from Galician cattle that are at least 10 years old, which means the texture will be tougher than the young cattle we usually consume. This is why extended dry-aging is done - to tenderize the meat. 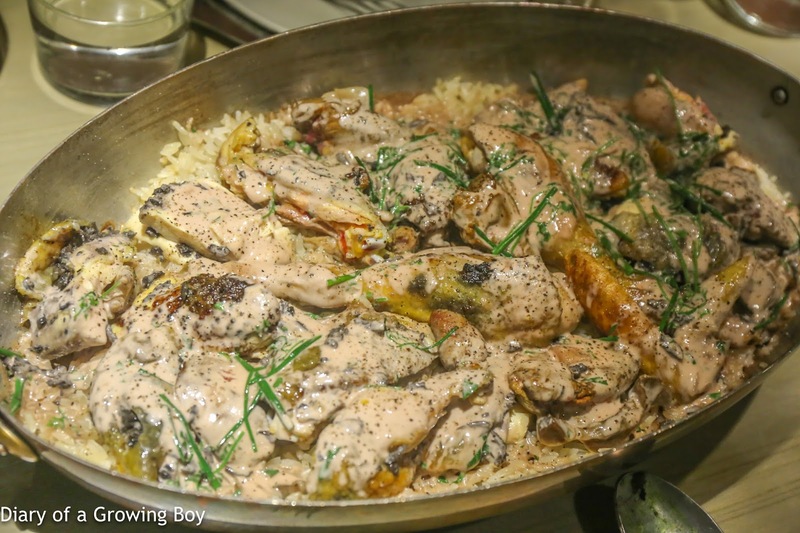 I think it achieves a perfect balance between having meat that is tender enough yet still offer some character. 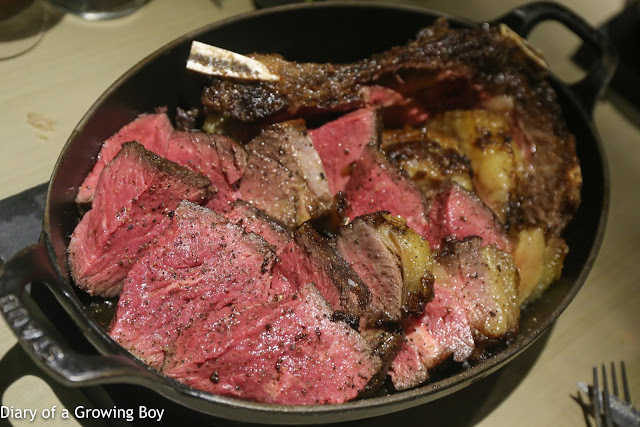 It also offers an incredible amount of flavor beyond that of normal beef fat. 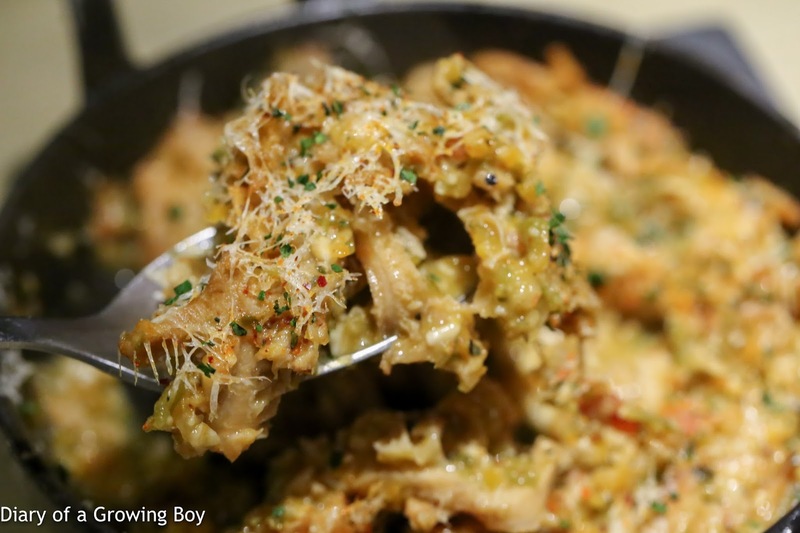 There's a certain level of fermented, cheezy flavors in the meat... which is especially noticeable in tendons, sinews, and areas near the bone - not to mention the fat. 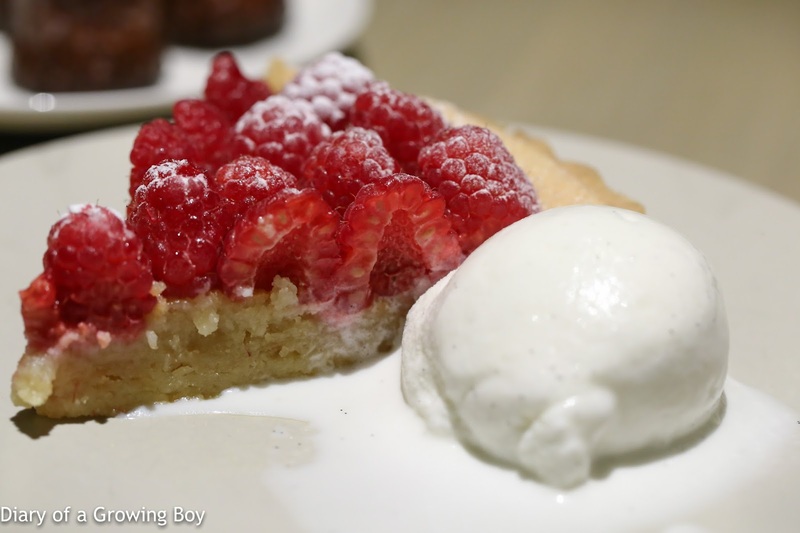 Raspberry tart à la mode - I told them that we were too full to have dessert, but agreed to share a slice of this among the 5 of us who stayed till the end. Very good. As usual I brought along a few bottles of wine, but not too many given we were drinking at a wine bar before dinner. 2012 Dujac Morey Saint-Denis Blanc - beautiful and toasty nose, sweet and buttery. Light and crispy on the palate when served very cold. Later on some green bell pepper on the nose. 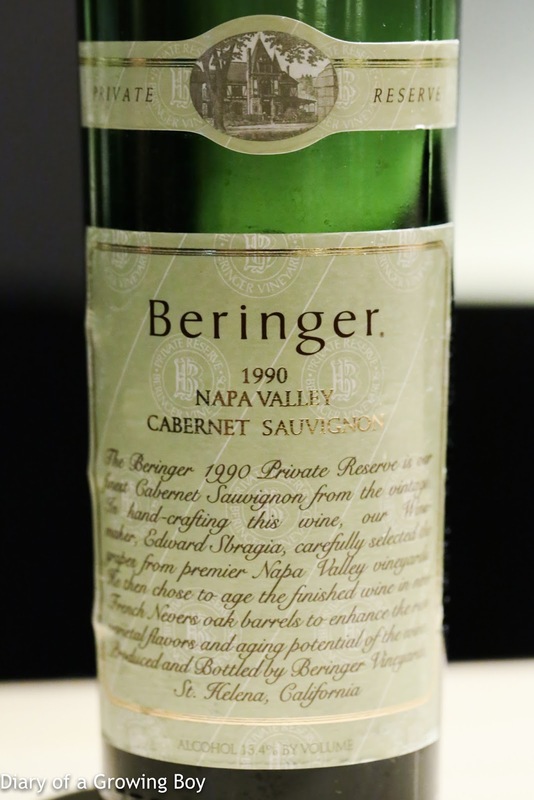 1989 Beringer Cabernet Sauvignon Private Reserve - nice and fruity but not too ripe, with a hint of smoke. Nice acidity here and slightly lean on the palate. 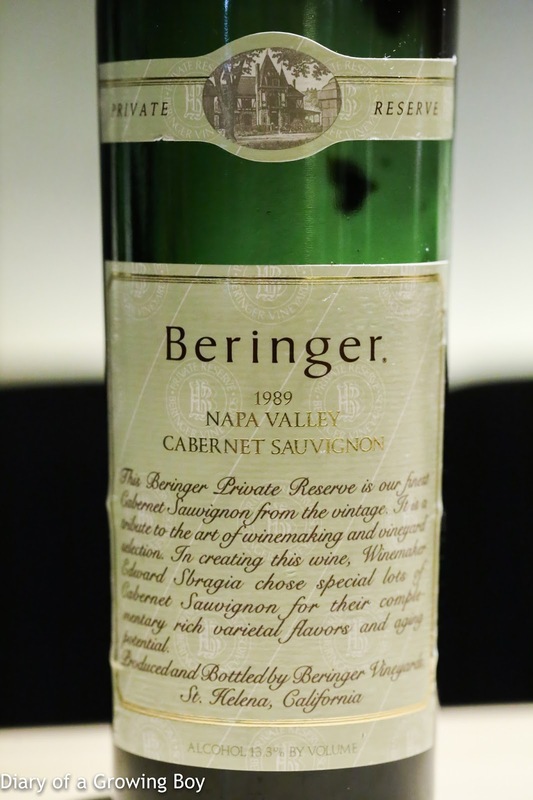 1990 Beringer Cabernet Sauvignon Private Reserve - more Bordeaux-like, with some sweet fruit and a little smoke. More tannic than the 1989. 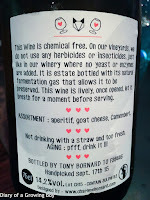 We seemed to have run out of wine, so we ended up ordering a bottle off the restaurant's wine list. 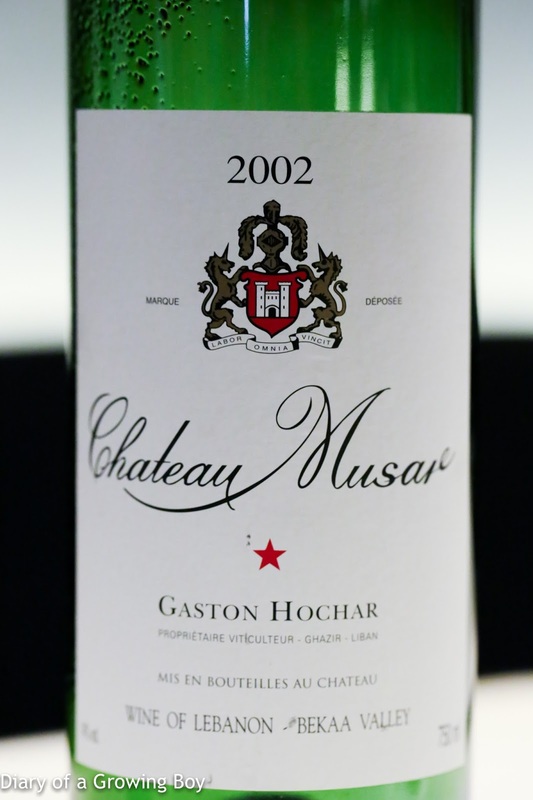 2002 Chateau Musar Red - much smoother than expected on the palate. 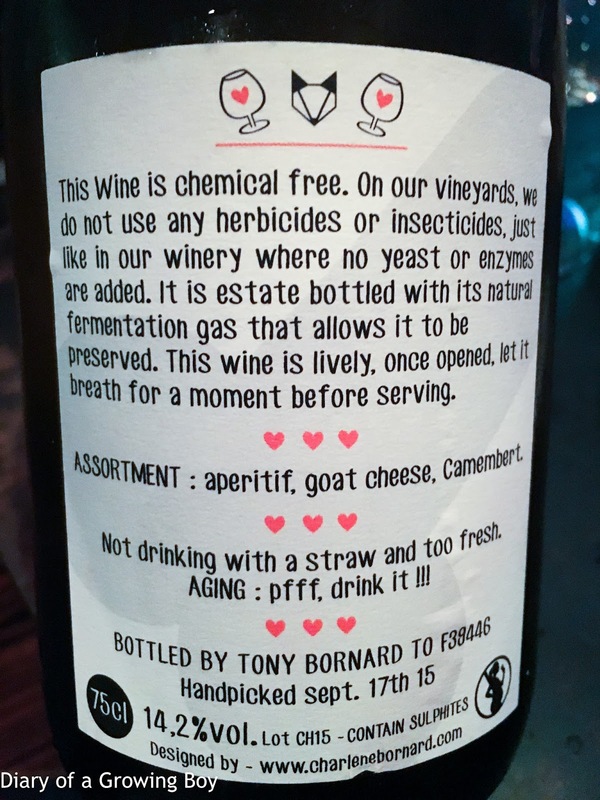 Nice and minty, with good fruit. A really, really good meal tonight. And really good to catch up with the gang. Happy Bastille Day!